The Alpha Flux is a progression of the existing Alpha Direct which was Rab's first jacket to use the Polartec Alpha Direct insulation (an active form of insulation). Alpha Direct is a sturdier form of Polartec Alpha insulation which means it was possible to remove one of the fabric layers leaving only two layers of fabric (the insulation and outer material) thus providing excellent breathability. What Rab have now done with the Alpha Flux is to make a lighter version of the Alpha Direct (330g compared to 480g). The Alpha Flux is ideally aimed at being a light insulation piece when not too cold in Spring to Autumn (think fleece replacement) or a mid-layer in colder temperatures. 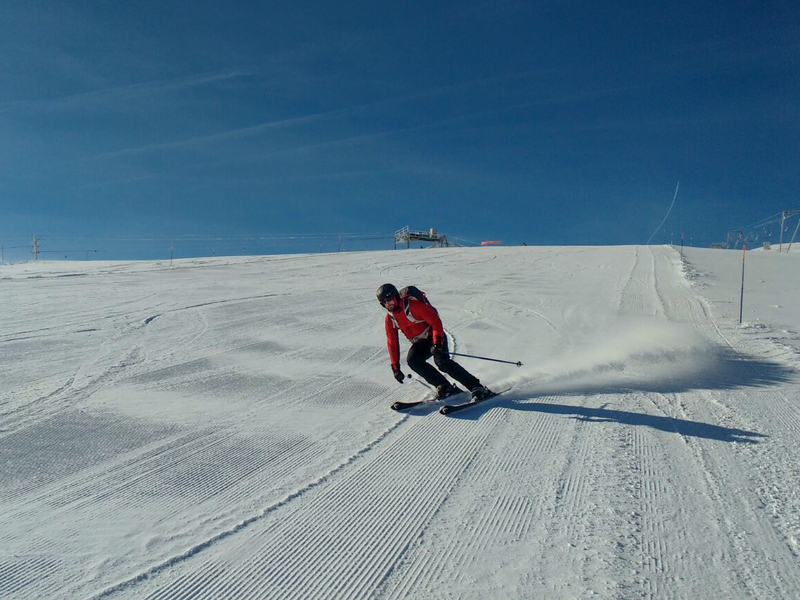 We also found that it could be used directly as a base layer dependent on the layering system used. The jacket is available in a black, blue and red in the male version and grey and peach in the women's version. It should be noted that the jacket appears to be sized small so it would be recommended to size up when ordering (or try it on in a shop). From the first moments of trying on the jacket, it was clear that we were going to like it, it was very comfortable and well cut so looked good as well as being easy to wear all day. The jacket claims to be a breathable (active) piece and was put through its paces on numerous occasions. We found that it did in fact vent exceptionally well and when paired with a breathable base layer (Brynje) it was very successful at keeping the user a good temperature on some testing uphill walks. As well as being very breathable, it also keeps the user warm in cooler temperatures thus striking a good balance between warmth and breathability. When the wind picks up a bit, the outer fabric does a good job of keeping it out which gives it a preferable position over a fleece when picking a mid-layer for colder days as it can be used intermittently as an outer shell when required. We did note that it would not stand up to much rain other than a couple of drops. Other features we really enjoyed included the helmet compatible hood which didn't restrict vision when used and is low enough volume for getting under a helmet, the stretch fabric used in areas such as armpits and sides means great flexibility when moving about whilst ensuring excellent breathability and finally the thumb loops are great at removing gaps between garments when wearing gloves. As with every product we encounter, there are a few things we were not so convinced by. First of all is the issue of durability. 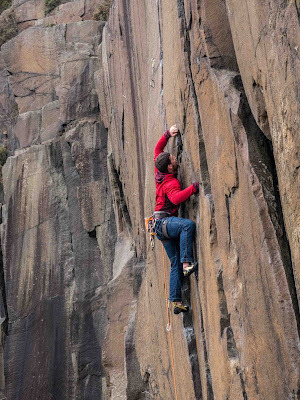 The outer fabric of the jacket is not very resistant to abrasion due to its lightweight nature and after a week of use we noted some fraying in the fibres (that week did include a day of climbing on sandstone). The other main issue we had with the jacket was that if the manufacturer recommendations are followed, it cannot be machine washed which for a garment which is realistically going to be used actively and be exposed to sweat, is a bit of a shortcoming. We did, however, break the rules a bit and ran it through the washing machine at a low temperature without any disasters to report. 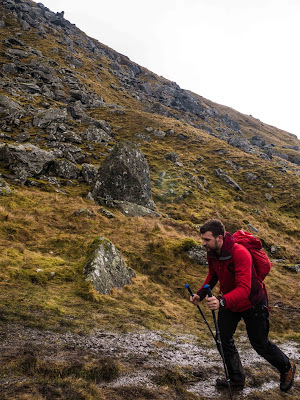 Overall, we found it to be an excellent piece of kit and would definitely recommend it to anyone looking for a new, versatile, lightweight mid-layer to add to their layering arsenal. Things we like: Excellent breathability, good cut, versatile. Things we don't like: Durability, not machine washable. Just got one of these from GO and the label says machine wash + tumble dry OK.